A Chinese American, CoCo Lee has an international singing career after becoming successful in Taiwan. She is best known for her song "A love before time: for the Chinese Kung Fu epic"Crouching Tiger, Hidden Dragon". The song was nominated for Academy Award for best song which she performed at an Oscar ceremony in 2001. Like many others, Lee grew up with Michael's music. His music influenced her hugely as a singer, she's also one of a lucky few who knew Michael personally. When she first heard about Michael's death, she simply could not believe it. Saddened by the news, she recounted her time with the King of Pop to a Hong Kong newspaper in 2009. Describing him as a really nice and kind person who had lots of empathy for others, with a pure and childlike innocence. Lee recalled her first meeting with her idol Michael Jackson, which was arranged by her manager Jim Morey(Michael's former manager), when she was a guest performer at the "Michael Jackson and Friends" benefit concert in Seoul, South Korea in 1999. "Michael really like my name and kept calling CoCo! CoCo! He was very sweet and friendly!" said Lee. After she moved to Beverly Hills in 2003, her good friend and a director neighbour who knew Michael well, invited her to go along to visit Michael for a two day vacation at Neverland Ranch. At breakfast, Michael said to Lee: "My home is your home!" Being the biggest star on the planet, there wasn't any super star attitude in him. He even confided in her about his skin problems and sought her advice. They spent most of the time in his game arcade, playing basketballs, and game machines. If any rude words were spoken by his director friend, he would cover his ears like a child and say: "I'm not listening!" That evening, Michael invited Lee to listen to his brand new version of Thriller Remix. Lee described the excitement on his face as just as sweet as a child. 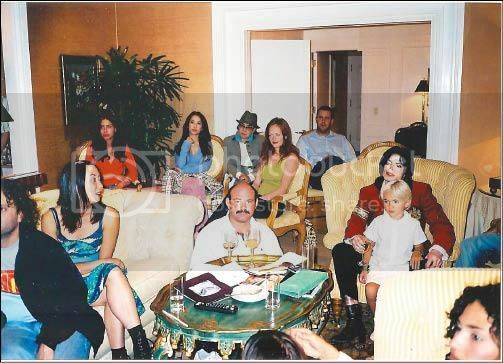 Lee later received more invitations from Michael, one was a group vacation to Miami, another was to watch a MJ's special on TV together with his family and friends at the Beverly Hills Hotel in La. His two elder children loved playing with her, she still kept her old mobile phone which contains a photo of Michael taken by his children. "There will never be anther talent like him again, he was a super star, and I'm just so fortunate to have known him!" Lee added. Those were her precious memories of the King of Pop, includes this rare photo of her and Michael backstage at the "Michael Jackson and Friends" benefit concert in Seoul, dated 25 June 1999. Who would have thought that just a decade later on this date, the world would lose a greatest entertainer of our era. Lee later payed tribute to Michael by performing some of his classic songs at the Walt Disney Hall in La. She also attended the grand opening ceremony of the MJ Gallery at Ponte 16 Macau in Asia in 2010.